If you want to operate or charge something more than a smartphone in your car, you will need a power inverter. Like all devices, power inverters come in all sizes and shapes. With these differences also come different features, supported voltages, and power levels. In this article, we are going to look at the 3 best Bestek power inverters for the car. 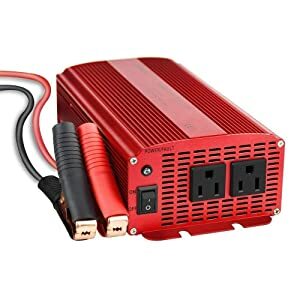 We will see how they differ in terms of performance, specs, and design in order to determine the best Bestek power inverter for your needs. Bestek is a company that was established in 2007. 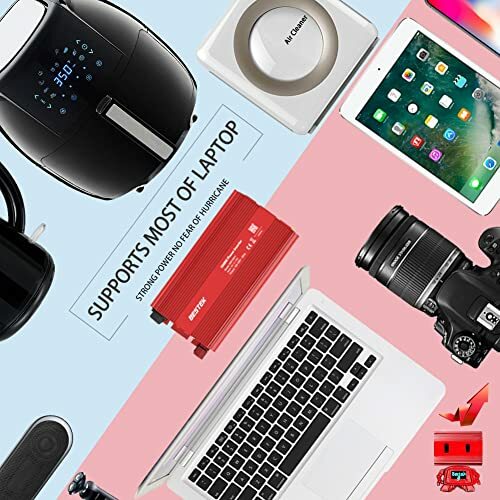 It specializes in research as well as development, manufacturing, and distribution of car accessories, electronic products, and household appliance. What sets it apart from other companies is its enterprise spirit of innovation, practicability, and aggressiveness. Here is a table that shows a top pick of its inverters. 2.2 What is it used for? 4.2 What is it used for? 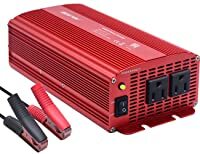 Now let’s turn our attention to the review of the 3 best power inverters from Besket for 2018. BESTEK 300W provides you with multiple safety options and an easy accessibility. You can use it to charge tablets, laptops, and USB compatible devices. Multiple safety options, easy accessibility, and a compact build are what the BESTEK 300W is all about. And it is a handy power inverter that you can carry whenever you go. Provides 700W peak power and 300W continuous DC to AC power. Features 2 (2.4A) USB ports and 2 (110V) AC outlets. Measures 4.8 x 3.1 x 1.9 inches. As seen above, the inverter comes with 2 outlet ports and 2 USB ports. That means that you can easily power an extra gadget with this unit which isn’t the case with most inverters. Because the 300W inverter can accommodate 2 devices, it is a bit bigger than most inverters. However, being the size of a smartphone, it is still highly portable. Moreover, the unit has some superb protection features which ensure it last long. For instance, there is a 40 amps fuse which will blow if you overload your inverter. There is no better way to prolong your unit’s life and even keep it safe than having a fuse. Additionally, the unit features a “fast charging” feature that comes in handy when you want to change something quickly. You can use this feature to charge your phone or laptop quickly without any problem. The unit charges very fast. Very easy to change a blown up fuse. USB ports work without turning the inverter on. It has a very long cord. The cooling fan is noisy. Bigger than most inverters on the market today. This unit charges tablets, laptops, and USB compatible devices. 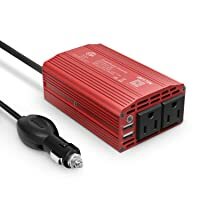 BESTEK Power Inverter 1000 Watt DC 12 Volt Power Converter is perfect for running a game system, a DVD player, microwaves, pumps, TV, laptop, and other devices. The inverter comes equipped with overheating, current, and voltage protection and is ideal for hiking and camping trips. You can also hook it onto your car’s battery to provide power at your home during power blackouts. Provides 2400W peak power and 1000W continuous DC to AC power. Measures 12 x 8 x 5 inches. This unit has a rugged made that enables it to withstand harsh weather. Hence, it is perfect for on road and remote job sites, as well as campsites, use. Also, the inverter shows overload and comes with a low-battery shut down feature that protects all the charging devices. Furthermore, it has a fan that protects it against overheating and 3 external features that cover up every risk. And that’s not all, the unit is quite durable such that the manufacturer offers an 18 months warranty. You will also be excited to learn that it is recommended for power-hungry devices. Easy to hook to a car battery. Fitted with lots of safety features. Able to charge dead devices. This unit is perfect for running a game system, a DVD player, microwaves, pumps, TV, laptop, and other devices. 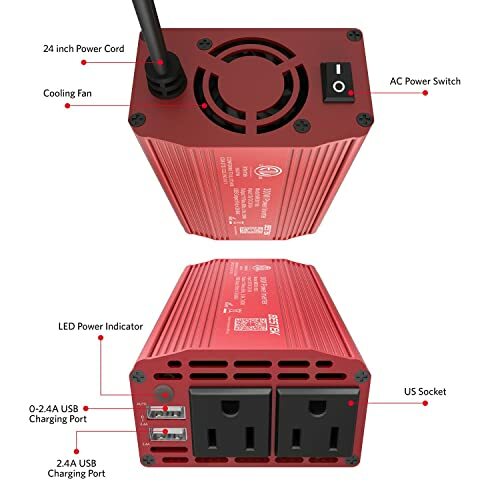 BESTEK 1000W Power Inverter Dual AC Outlets is suitable for charging most electric devices and running TV and DVD systems. Just like the BESTEK 1000W Power Inverter, this Dual AC outlets offer maximum protection through different features. What is mainly different from the other model is the lit power switch that shows the signal status. Provides 2400W peak power and 1000W continuous power. Features dual AC 110V outlets. Measures 9.4 x 4.7 x 2.8 inches. The unit has 3 external fuses and a fan for cooling it when in operation. It also comes in a rugged construction that makes it suitable for use in harsh climates. In addition, the inverter has 2 battery clamps and a car cigarette plug that makes a multipurpose unit. You will also get a user manual to guide you the process of using the inverter. BESTEK 1000W is also quite portable and provides high performance to charge different devices. Weighing around 3.63 lbs., you can carry this unit anywhere you want. One thing to remember is that the inverter might become hot when charging your device. That’s shouldn’t fret you since this is normal for all inverters. Has a cooling fan for cooling it when it gets hot. Very light and easy to carry around. A bit hard to get a replacement fuse. This unit is suitable for charging most electric devices and running TV and DVD systems. You cannot simply walk into the market and choose the first power inverter you come across. Therefore, we have looked at three critical things that you should consider when buying your inverter. The size of your inverter will determine how much AC power it will produce. 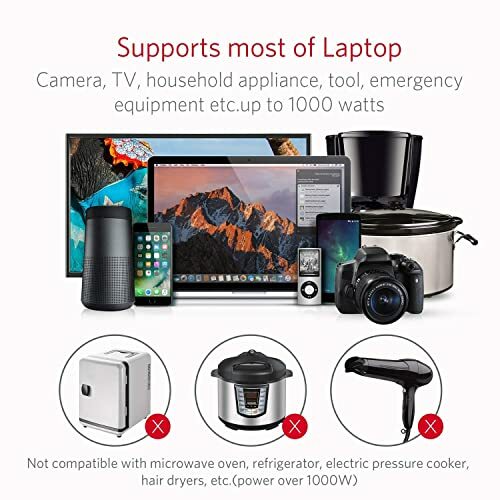 So, add up the wattage of all the devices that you expect to run at a go, and make sure you get an inverter that will supply enough AC power. This will depend on 2 things: the capacity of your battery and the amount of power you will use. To compute this, know the watt of your inverter and your battery’s capacity. Then, use this formula: (10 x (Battery capacity) / Load) 2. It will give you the duration the inverter will operate on your car battery. Here, simply divide the load watt or watts by 20. You will know how much power the inverter will draw. The three inverters we have reviewed above are of top quality. However, we would like to recommend the BESTEK Power Inverter 1000W DC 12V Power Converter 1000W DC to AC Car Inverter. This unit has some superb protection features and runs almost all electrical devices. If you are on the market looking for the best Bestek power inverter, then you cannot go wrong with any of the choices above. The three units will offer value for your money.